May 9 th , 2018 - Volotea, the airline of mid and small‐ ‐sized European cities, has been welcomed as a new IATA member. This membership will enable Volotea to benefi from IATA’s leadership in the airline industry. The International Air Transport Association (IATA) is the most important trade association for the world’s airline sector, representing some 280 carriers. IATA serves the world’s aviation sector, driving value creation in the industry on many critical issues, including safety, sustainability and innovation. Volotea will benefit from IATA’s knowledge and resources covering all fields of the industry, including analysis of regulations, development of standards, innovation in distribution, improvements on safety procedures, updates and trainings for aviation industry professionals, as well as cost reduction. “ We are pleased to become an IATA member, as this global association leads the innovation, safety and value creation in the airline industry, supporting the highest industry standards”, said Carlos Muñoz, Volotea’s Founder and CEO. 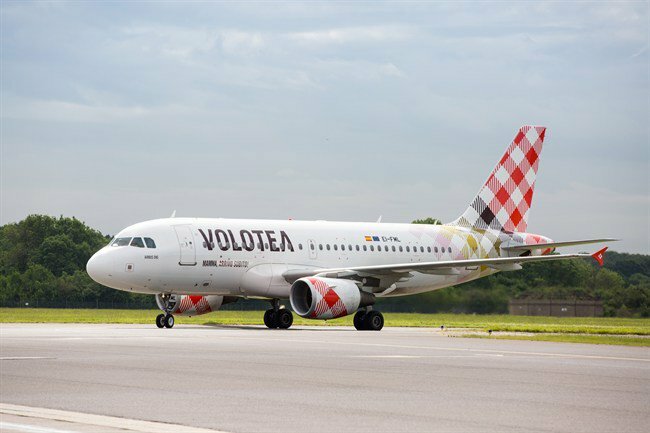 “Volotea is a new model airline with a clever and bold approach, which consists in creating demand and connectivity by establishing innovative routes. We are thrilled to welcome Volotea to the IATA family and to help them grow and excel in this highly competitive European market”, stated Rafael Schvartzman, IATA’s Regional Vice President Europe.